Poco F1 is a smartphone which swears by the notion of “function over form” which is why Xiaomi’s Poco chose simple colors for the device. While there has been no compromise in the sturdiness of the F1, the almost-too-simple appearance could be a deal-breaker for some users. 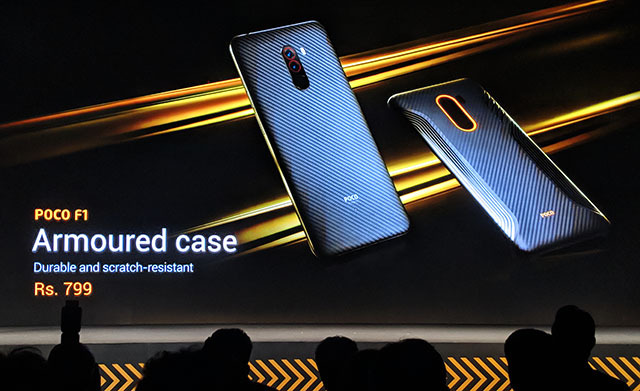 The company had already acknowledged this and teased official skins to enhance the visual appeal of the Poco F1 at the device’s launch without revealing a date for arrival. The skins, in four different textures, will now be available to buy via Mi.com as well as Flipkart, along with the fourth sale of the Poco F1. These skins come in four variants, but since the exact names are not known yet, we have to presume they will be named based on the appearance. First up is Black Sandstone (on Flipkart), which reminds us of OnePlus’ debut, the second one sports a faux leather finish (buy on Flipkart), while the other two are camouflage (see on Flipkart) and ebony wood (buy on Flipkart). It remains to be seen whether these skins look just like dbrand or other skins. 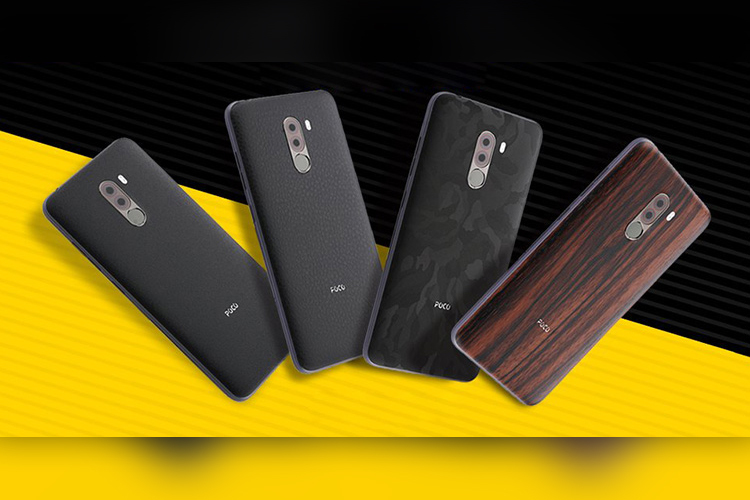 These skins for Poco F1 will be available at both – Mi.com and Flipkart – for a price of Rs 299, and I have no reasons to believe that the skins will be available through a flash sale. 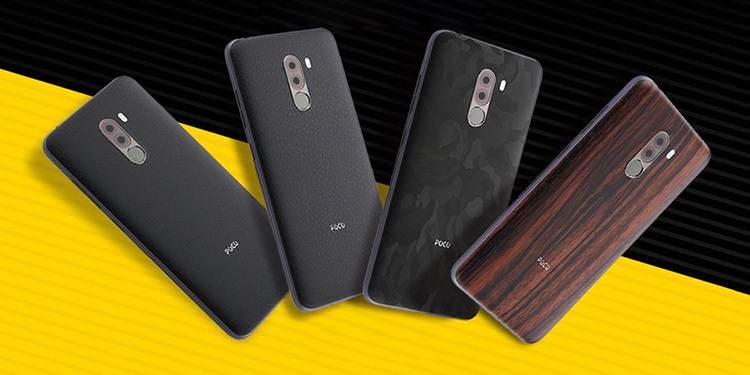 So those of you impressed with the performance of the Poco F1 but not too delighted by the original design can opt for these official skins. Aside from this, the promised Armoured case will also be available soon. While Poco didn’t talk much about the installation process, but I believe it should be similar to the process for dbrand. On the other hand, if you don’t care much about vanity and are looking for a sturdy case to protect your Poco F1, take a look at our list of the best Poco F1 cases available online, including the official hard case from Xiaomi. Meanwhile, the company has already put up the 128GB model of the Poco F1 through open sale so you can grab it whenever you want, but you’ll have to wait for tomorrow’s sale for the other two variants.